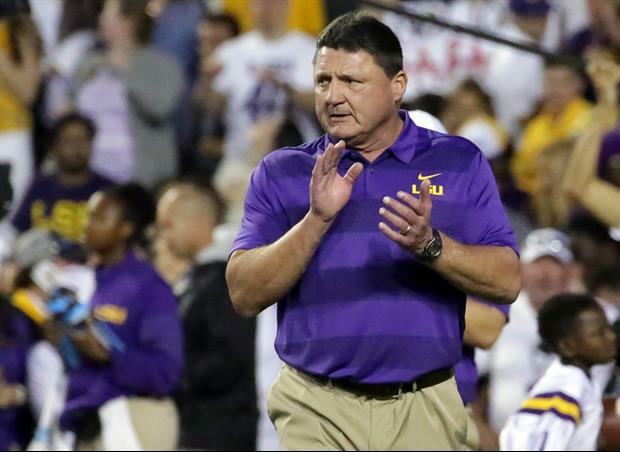 LSU head coach Ed Orgeron joined the SEC Coaches Teleconference on Wednesday morning to provide team updates as the Tiger prepare for Arkansas this Saturday in Fayetteville. It's easier to bounce back from an arse beating than a heartbreaker. Still talking about Bama. Not good. Cute name. Out of you and your sister, whose booty and whose finger?